Ruth Beckner has accomplished a lot in her 81 years: Mother of seven. Tireless advocate for the developmentally disabled. Inventor. Master gardener. And she’s still going strong—still advocating, still inventing, still growing abundant produce that she shares with her San Rafael, California, neighbours. Her untamed landscape—a delicious jumble of vines, trees, and vegetables—is a testament to her horticultural savvy and the power of good compost. 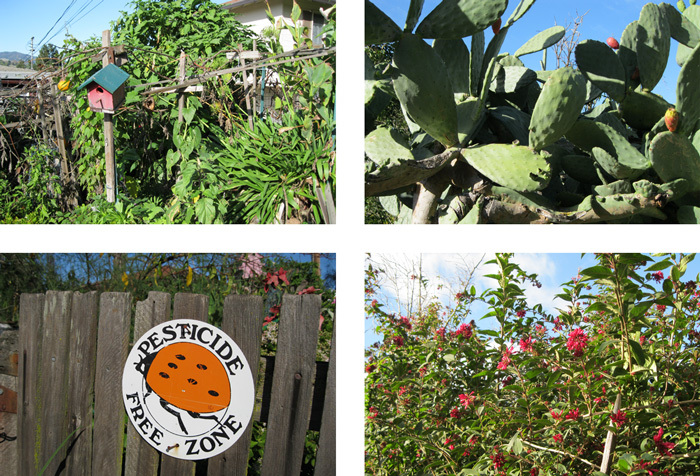 Everything is grown without commercial pesticides, as a sign out front proclaims. Years ago, Ruth came up with an ingenious but simple idea that’s a boon to compost aficionados. Essentially a giant drill bit, her patented Compost Air tool attaches to an ordinary battery-powered drill. To demonstrate, she plunges it several times into her wire-enclosed compost pile and gives it a spin. The result: her pile gets a good dose of oxygen without any tedious turning required. “This can revolutionize home composting,” Ruth says. “All it takes is three minutes a day. Everything in a bin will be composted in a month instead of a year.” Her tool is a boon for elderly or handicapped gardeners—not to mention the downright lazy. Her latest project, still in development, is a worm bin that would be lighter and easier to manage than conventional ones while still generating plenty of precious castings. Ruth has been experimenting with compost since high school, having grown up on a potato farm in Washington State. She remembers getting up at the crack of dawn to help pull out any plants with damaged leaves whenever an inspector was due to show up. “The plants had to be certified so they could be sold through seed catalogues,” she explains. Thanks to San Rafael’s mild climate, Ruth is out puttering in her garden almost year round, hat on her head and a spry spring in her step. She leaves daily offerings for the birds, as well as boxes of fruit for passing neighbours. “I tell people to just come in and pick the fruit themselves, but they never do,” she muses. 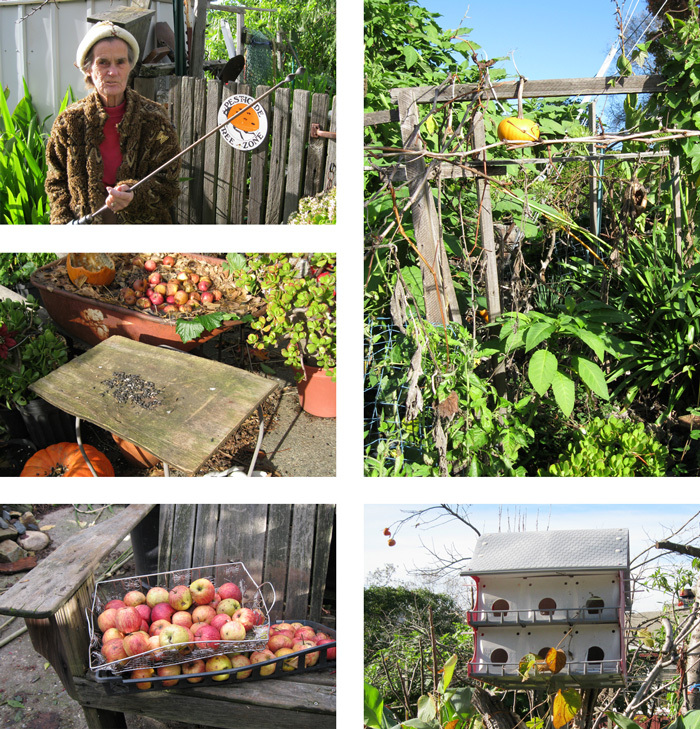 Like so many gardeners, she enjoys sharing the abundance—be it fruit, cuttings of plants, or the gospel of composting. Bonnie Monte is a freelance writer and organic gardener in Marin County, California.